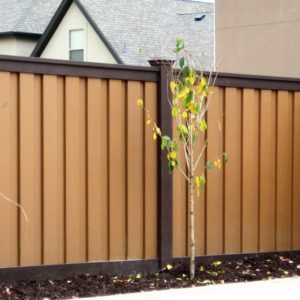 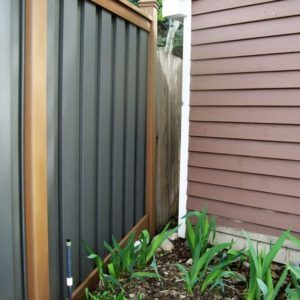 A popular alternative to using a single color for a Trex fence is to integrate more than one color into a fence design. 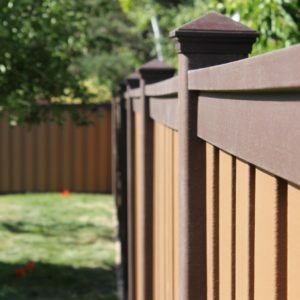 With three color options, this gives a customer a large number of combinations that could compliment a property’s specific color scheme. 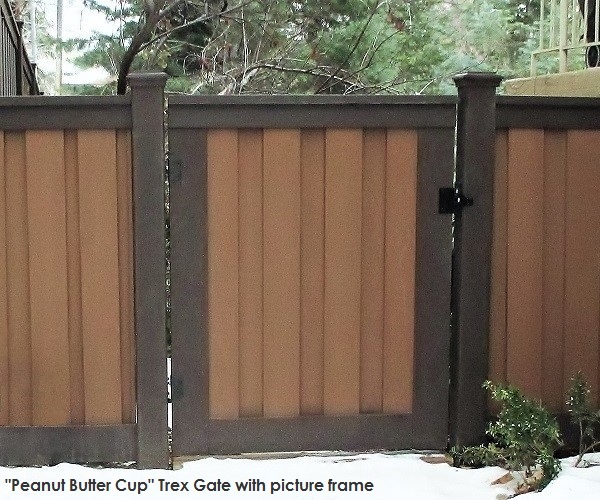 The most popular combination is what one of our customers dubbed “peanut butter cup.” This combination uses Woodland Brown posts, top rails, and bottom rail covers with Saddle pickets. 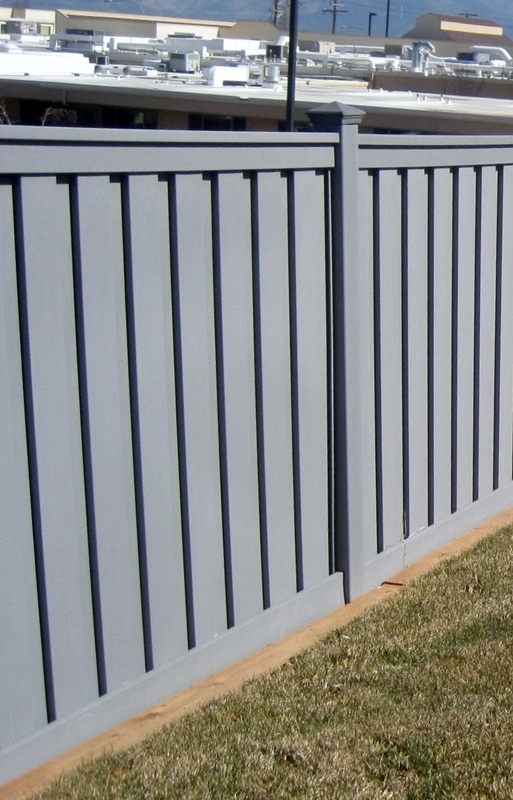 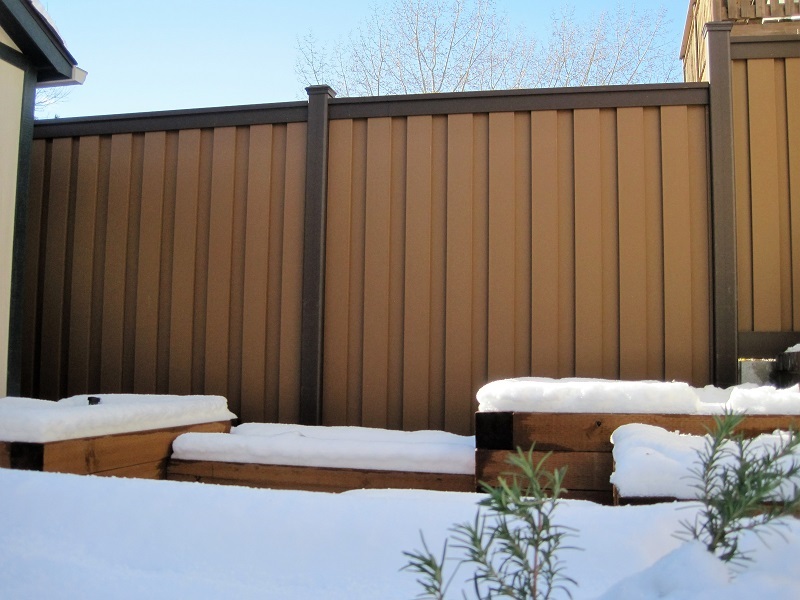 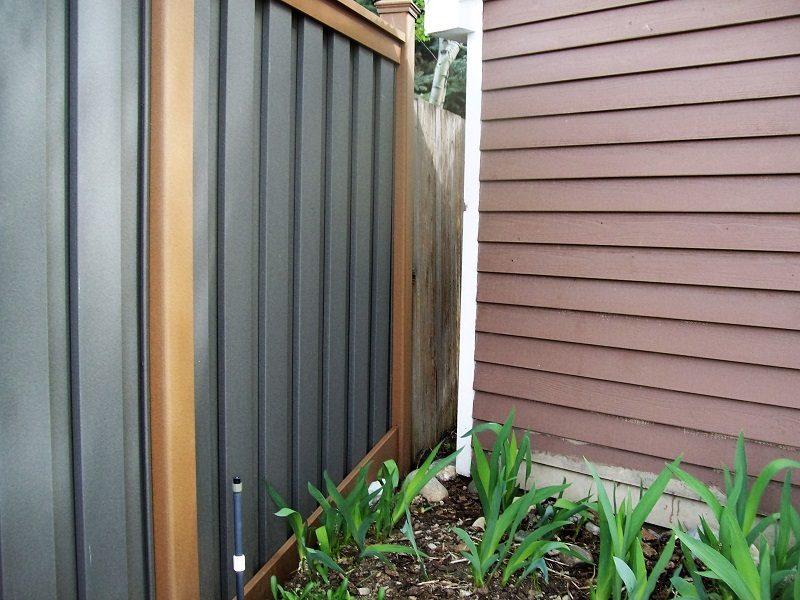 Because Trex fencing components are not pre-assembled as fixed panels, combining the elements is easy to create this distinct two-toned appearance. 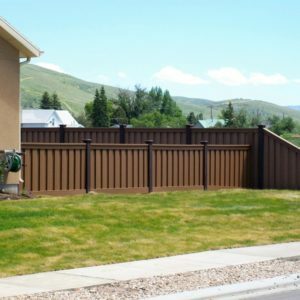 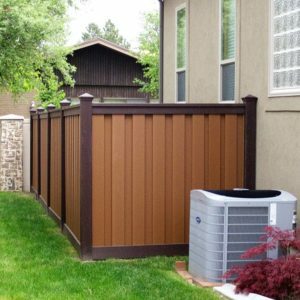 To create a similar look with a wood fence would be difficult because painting or staining would have to be done in two phases and require a significant amount of covering to protect from over-spray of the alternating colors. 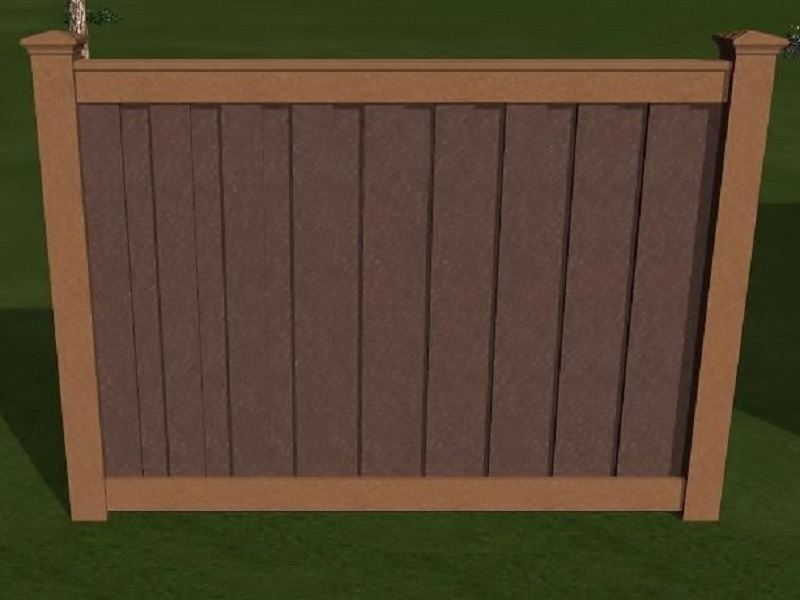 We have had requests to build gates with two different options. 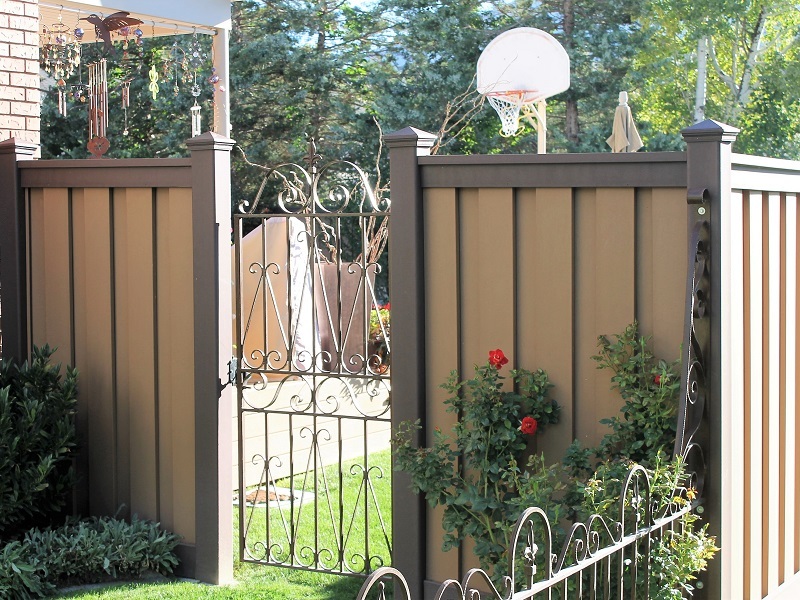 If you are considering any combination of colors and are ordering pre-built gates, be sure to specify how you want the uprights to look. 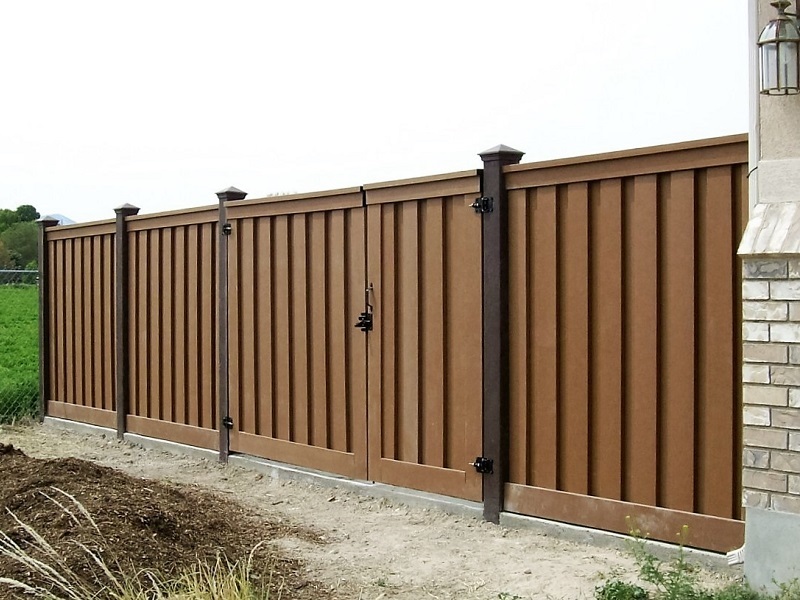 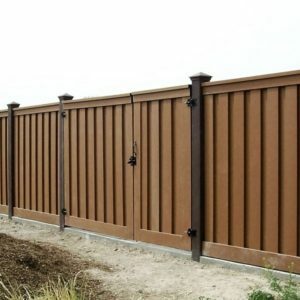 One option is to use Saddle on the sides of the gates to exactly emulate the look of the fence where pickets are all the same color right up to the posts. 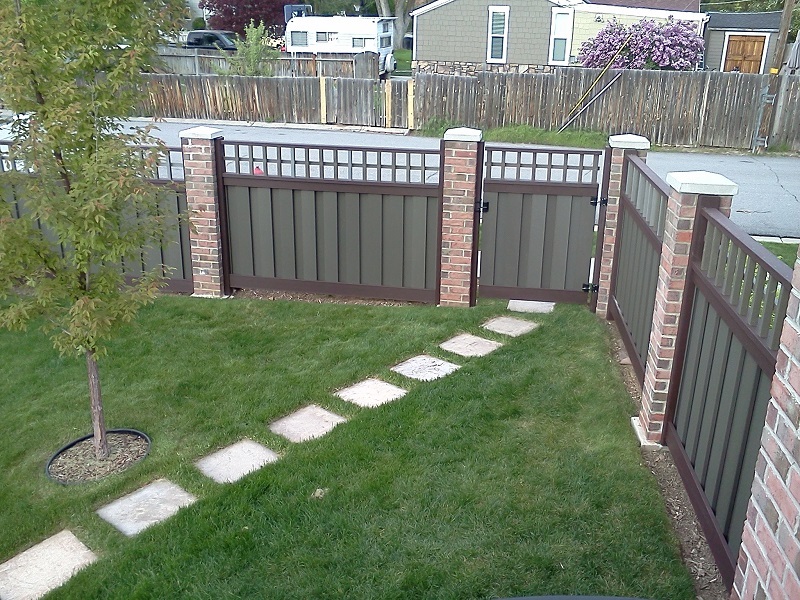 The other option is to create a “picture frame” look so the gate stands out from the rest of the fence. 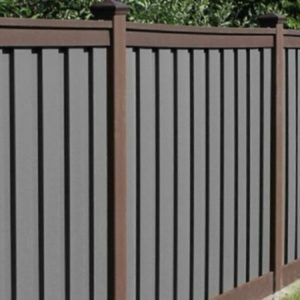 Here are some examples of other combinations using all three Trex Fencing colors: Saddle, Winchester Grey, and Woodland Brown. 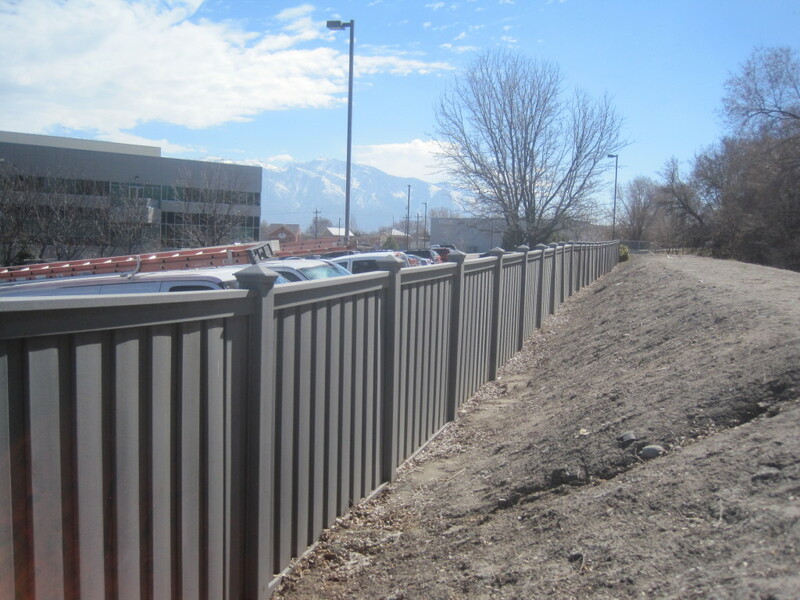 Nelson Laboratories, located in Salt Lake City, acquired Trex fencing to place around the perimeter of its property and along the South Jordan Canal Trail. 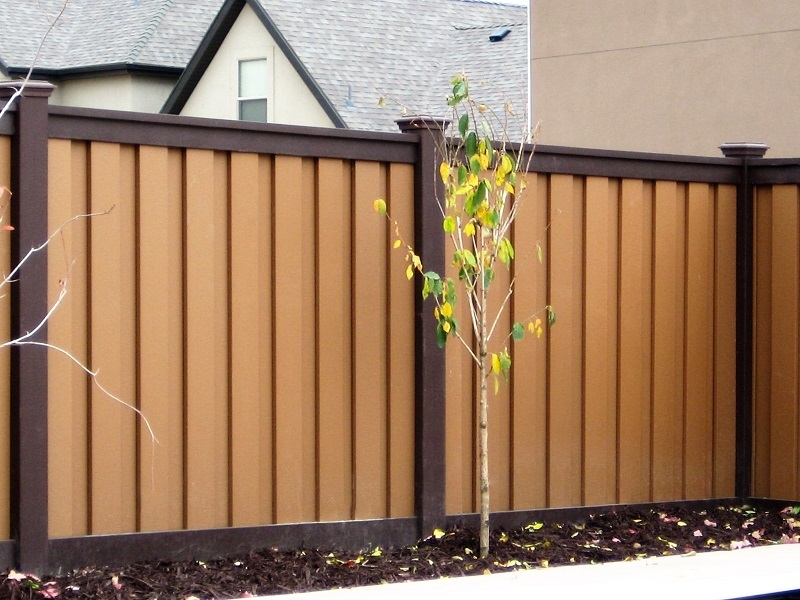 The project was completed in two phases and included approximately 800 ft. of fence. 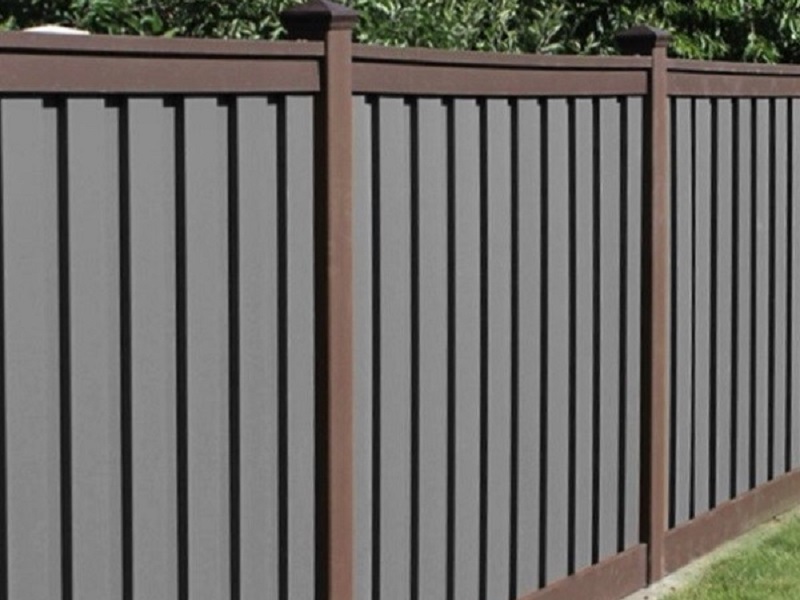 The color chosen was Winchester Grey and the fence height was 6 ft. tall. 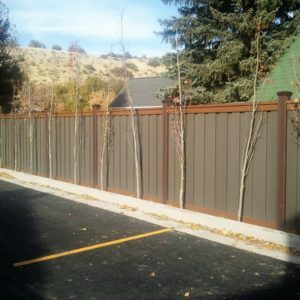 The fence provides a barrier between a canal and parking lots. 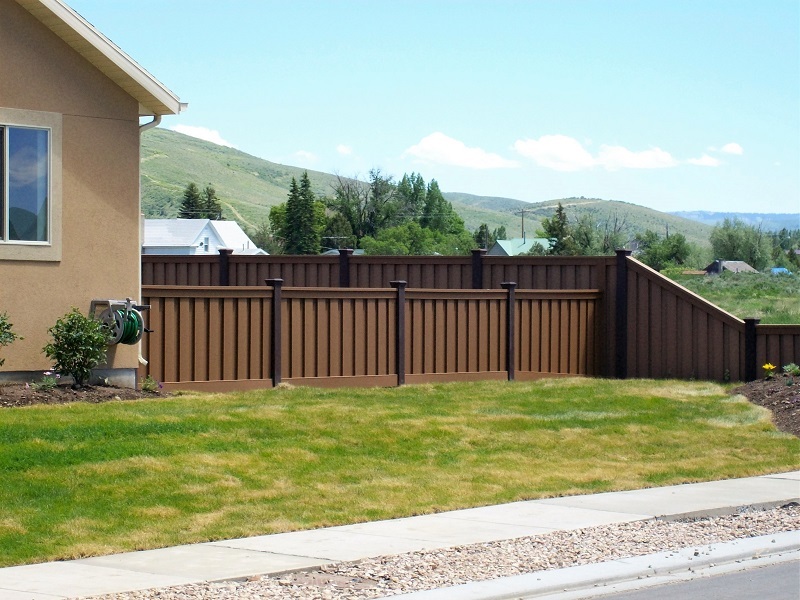 Additionally, there are residences that back onto part of the property, so Trex was selected to provide full privacy and an attractive backdrop for the neighbors. 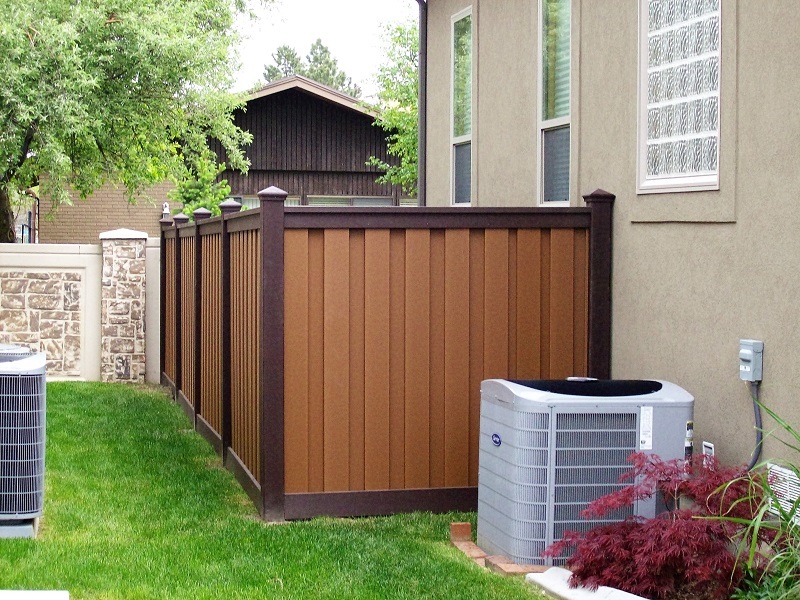 Trex has the same appearance on both sides and no exposed framing or fasteners. 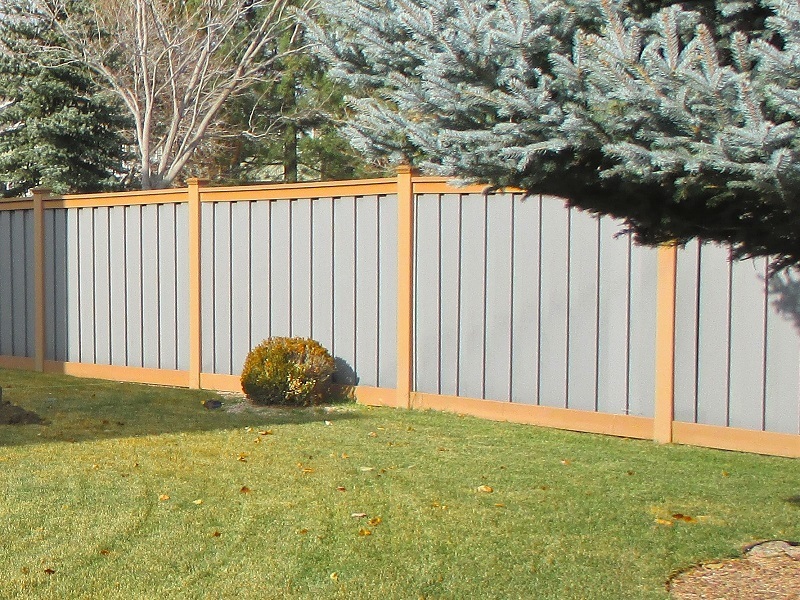 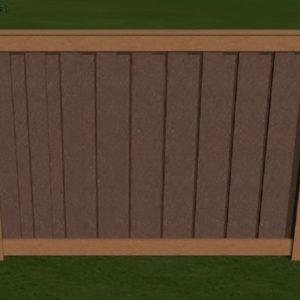 The pictures in this post are a good example of how the product ages since the fence was installed more than five years ago. 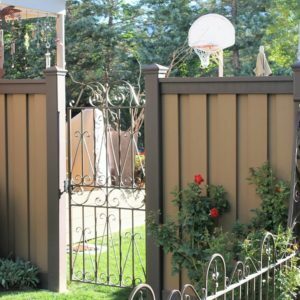 One of the most frequently asked questions is what to expect when the product changes from its manufactured color to its intended weathered color. 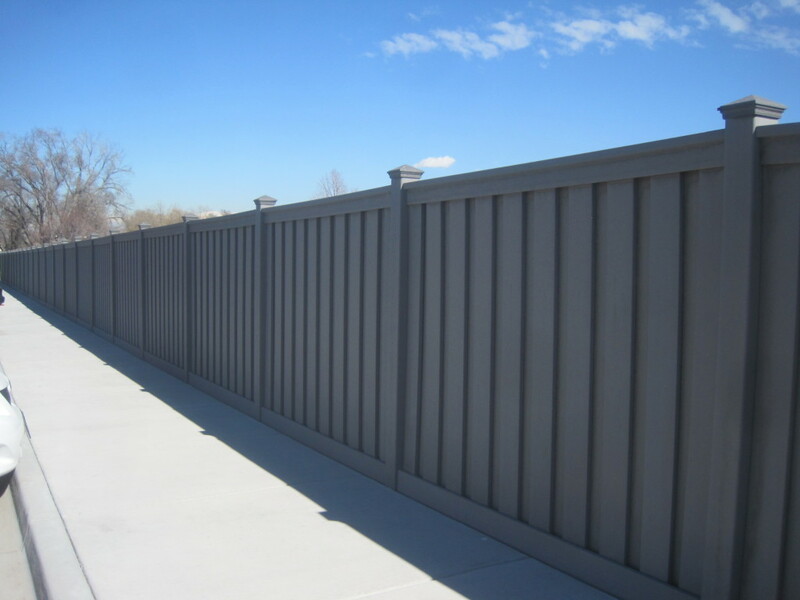 To achieve the slate grey of the Winchester Grey color, the product is over-pigmented during its production. 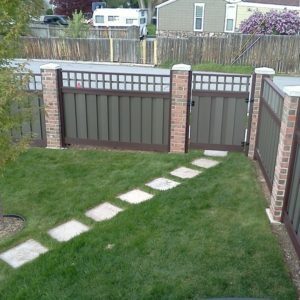 It appears with a brownish hue when new. 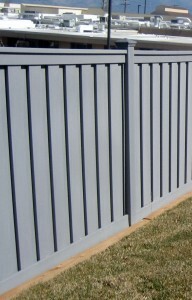 After exposure to the sun for several weeks, the fence will settle into its natural color. 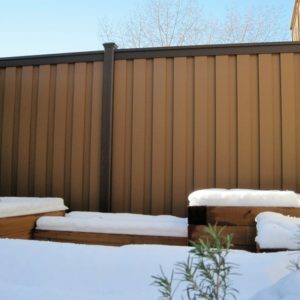 For more information on color, see Details and Color Swatches on our product information pages. 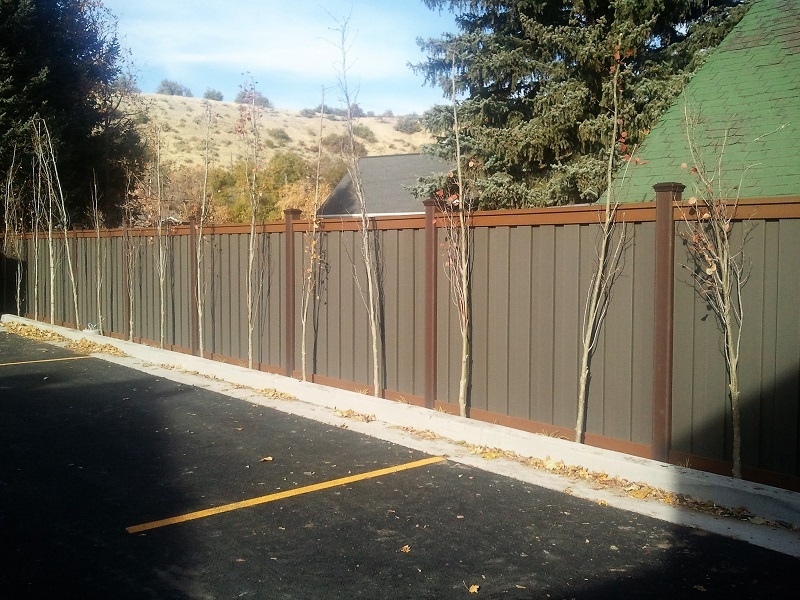 Commercial projects like this one are a perfect case study for the usage of Trex fencing. 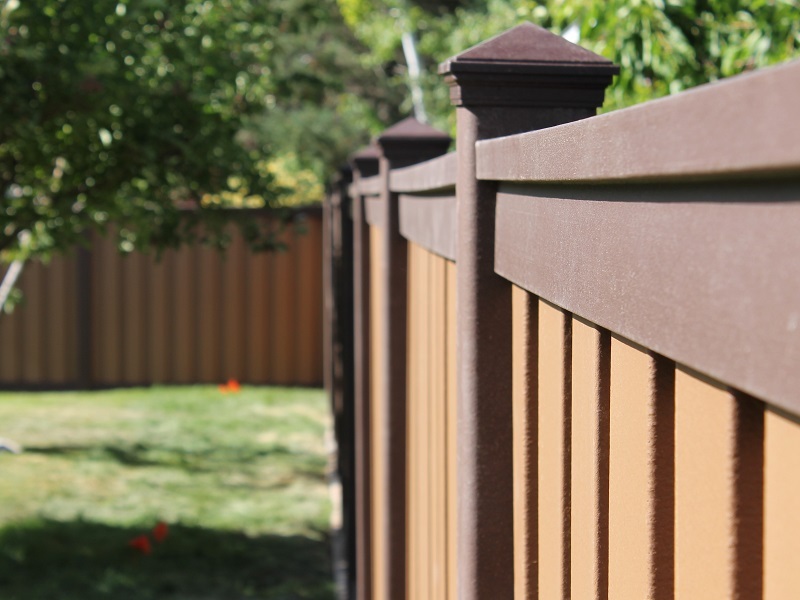 The low-maintenance aspect of the fence (it doesn’t require painting or staining, and it won’t rot or warp) makes is particularly popular since commercial property owners typically don’t have maintenance crews who handle the type of annual upkeep required from wood fences. 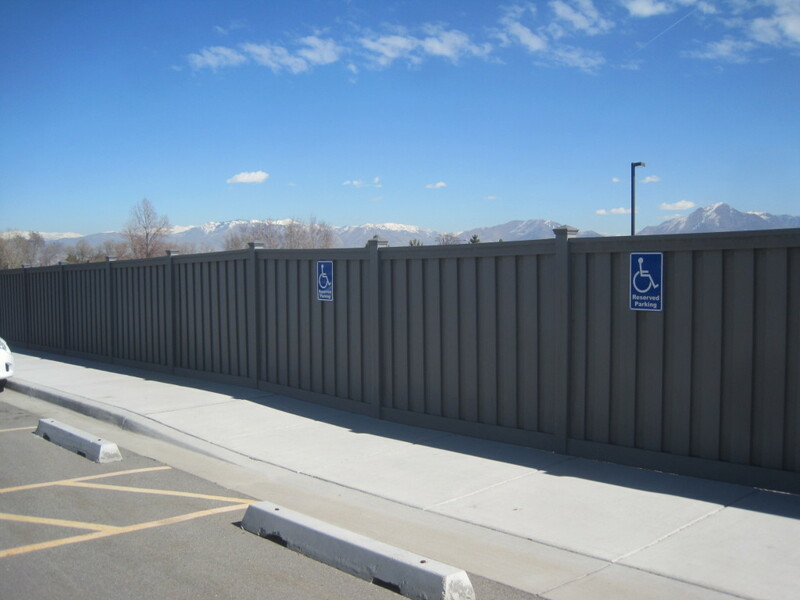 Outsourcing that type of work can be costly, time consuming, and disruptive since it typically means cordoning off parking lot space while the work is being done. 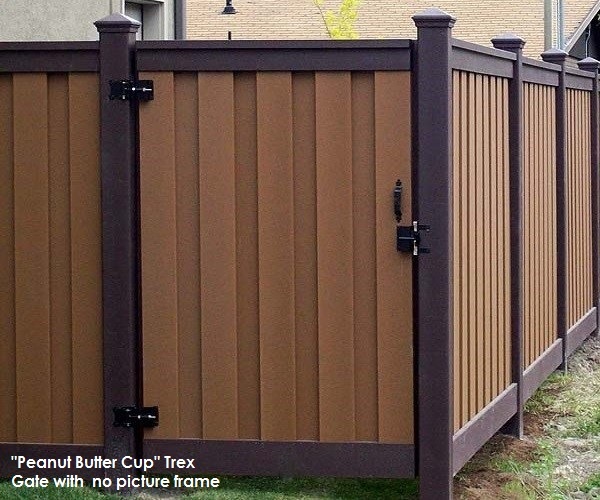 Trex is also incredibly durable. 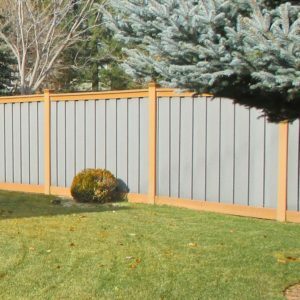 Whether it is high winds, incidental contact with the fence by passers-by, or just the general impact of the elements, Trex is a long-lasting fence that will maintain its beautiful appearance and serve its purpose for years to come.